Bill speeds down the back stretch at the Red River Co-Op Speedway. Tim Johnson photo. Two weeks ago, Bill was scheduled to race three races in as many nights, but mother nature had different plans. Bill raced with the NLRA at the Norman County Raceway in Ada, MN on August 21. He started third in his heat race and held off Brad Seng for the third and final redraw spot. Bill redrew the ninth starting spot for the feature, but just after the redraw was completed, rain started to fall, cancelling the feature. The next night at the River Cities Speedway in Grand Forks, Bill once again was only able to run a heat race. He finished fifth in his heat, but as the field was pulling on to the track, the fourth rain delay, coupled with the cities’ curfew postponed the feature to the next week. The final rain-out happened the next night when the NLRA was scheduled to race at the Devils Lake Speedway near Doyon, ND, but the race was rained out just after six o’clock. Last Thursday night Bill returned to the Red River Co-Op Speedway in Winnipeg. He started fourth, and finished third in his heat race, giving him a starting spot on the front row of the main event. Bill grabbed the lead early, and ran second for the first two laps, when entering turn three on lap three, he caught a rut and had to drive of the end of the track to avoid contact with the outside wall. Bill restarted in the back, in the 16th position, and fought his was back to a top ten finish, completing the race in the ninth position. On Friday at River Cities, Bill started tenth in the make-up feature, and after spending the majority of the race battling Zach Naastad and Tom Corcoran, Bill finished eleventh. After finishing fifth in his heat race for the regularly scheduled night of racing, Bill started ninth in the main event, and finished 12th. Bill has six top fives and 14 top tens in 29 nights of racing this year. Bill finished eighth in both the Red River Co-Op and River Cities Speedway points standings. Bill is eleventh in the NLRA series points standings, four points back of the top ten with one race remaining. Next up is the John Seitz Memorial at the River Cities Speedway in Grand Forks, a race he has made in three of his previous four attempts. 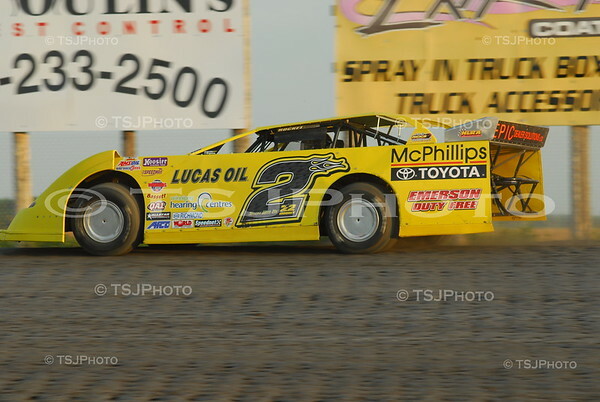 Bill Mooney Racing would like to thank: McPhillips Toyota, Lucas Oil, Emerson Duty Free, Winnipeg Hearing Centres, Maaco Auto Painting, Millar Engines, Bill Mooney Construction, Liesureliquidators.com, Epic Dealer Solutions, Erickson Motors, Ollies Auto, Pizza Ranch of Grand Forks, and Rocket Chassis, for their continued support.